Time of Origin: Questionable; the Repulsion’s realm existed outside Time, allowing it to make contact with the universe in 2815 and 3012 seemingly simultaneously; has apparently been watching the universe since life began. Companions: K9 and 2nd Romana. History: Although the Repulsion had the potential to be a powerful threat in its own right, it is mainly remembered for the fact that The Doctor technically encountered it in reverse; he initially arrived at the location where he would confront the Repulsion after he and his allies in that time period had already defeated it in his future, The Doctor subsequently travelling back in time after tying up a couple of loose ends that his future self had left behind to fulfil his role in history. The Repulsion described itself as a being of pure death, having existed outside reality since around the dawn of time in a void between life and death - possible linked to N-Space ("The Ghosts of N-Space") -, watching life from the outside and developing a deep hatred of it. It eventually managed to gain access to this universe via the Necroport, a device created by Doctor Kole Paddox that allegedly allowed people to die for half an hour and experience the afterlife, as part of an attraction known as the ‘Beautiful Death’ located on board the G-Lock, a vast collection of spaceships that had collided together when the hyperspace tunnel they were travelling through unexpectedly closed in 2815, rescue teams that arrived when the tunnel re-opened discovering no survivors and no bodies. In reality, however, the true purpose of the Necroport was to draw power from those who participated in the Beautiful Death, while using a unique plant-like-race called the Arboreteans to act as a power source. Due to unspecified circumstances, the Arboreteans had developed a unique link to time; at the moment of their death, they travelled back to the moment of their own birth and subsequently lived their lives all over again, allowing them to constantly improve their lives until they had lived the ‘path of perfection’. Having somehow learned about the Arboreteans’ ability, Paddox had hunted their race to the point of genocide - the Arboreteans had allowed the genocide to take place as the only alternative was to destroy everything good about their culture by turning their peaceful people into a military race -, using the last members of the race to act as psychotemporal conduits - or mediums - to grant the participants in the Beautiful Death access to the afterlife - really the Repulsions’ domain, which they passed through every time they ‘died’ - while drawing the power into the Necroport. Paddox’s final goal was to duplicate the Arboreteans’ ability so that he could go back and prevent a traumatic accident that killed his parents when he was six years old, unaware of the Repulsion’s existence or the fact that his experiments into death were giving it an opportunity to access the living world that it had never possessed before. Arriving on the G-Lock in 3012 after learning of their role in saving it from destruction during a brief visit to the G-Lock one day in the future - although they had been forced to take care to avoid learning how they had saved it to prevent any time paradoxes occurring -, the Fourth Doctor and Romana were just in time to witness the largest Beautiful Death to date take place, as 218 people underwent the process... only for 217 of the participants to suddenly be revived as the walking dead. Manually reviving the remaining participant - a drug-addled lizard-like alien called Hoopy -, The Doctor learned that, during his time dead, Hoopy had witnessed a little girl talking about how she didn’t ‘want’ to be revived like the others, leaving him with further clues about what was taking place. However, it was only after Romana was caught in a temporal anomaly that sent her back to 2815 after the original accident, learning that they were down to 218 survivors - with the captain having ‘forced’ the Cerberus’s computer ERIC to blame himself for the accident; the captain had ordered the Cerberus to continue onwards as the tunnel began to close despite ERIC asking to stop, the captain subsequently ordering ERIC to ‘recognise’ that he was responsible as he should have overridden the captain’s commands, driving ERIC suicidally insane due to the conflict between what he was being told he should have done and his programmed limitations preventing him from taking such an action - and being hunted by a ruthless genetically-engineered race called the Arachnopods, that she began to suspect a connection between the events on the Cerberus and the events on the G-Lock. Guided to the rift after he and his first officer discovered Romana’s presence, the captain believed that he had made a ‘deal’ with the Repulsion to send him and the other survivors to the future, his usual arrogance leaving him unable to accept any point of view but his own; Romana’s protests that the Repulsion was lying were met with the response that the Repulsion had told him that she would lie, and he believed that she had simply ‘admitted the truth’ when she changed her story. Although unable to stop the crew from vanishing into the rift without changing history, The Doctor was able to save Romana from being fed to the Arachnopods, subsequently directing ERIC to alter the ship’s artificial gravity to drop the Arachnopods into the rift used to access the Repulsion’s domain - now simply opening directly into the real space/hyperspace interface after the Repulsion had removed its influence -, promising ERIC that he would help ERIC die later. In the meantime, the Repulsion's actions in luring people into the rift had allowed it to turn the Cerberus	passengers into extensions of its will, using them to control the participants in the Beautiful Death and extend its influence into the world of the living by exploiting their desire to live (Although Hoopy remained free because the 'spirit' that would have possessed him - a little girl called Tarie - didn't want to go to the future because she wanted to remain with her mother, who had been killed in the original accident, the Repulsion's realm manifesting itself as whatever its inhabitants wanted to see). Having returned to the present, The Doctor met with Garella - the last Arboretean left -, learning the truth about their unique relationship with time and their connection to Paddox’s experiments, arranging for Garella to serve as his ‘spirit guide’ in his own Beautiful Death so that he could make direct contact with the Repulsion’s realm and recover K9, who had been thrown into the rift leading to the Repulsion's realm earlier. With The Doctor now directly connected to the Necroport - although he was dismissive of the Repulsion's realm as nothing but cliches as he refused to take it seriously -, the Repulsion intended to use his body as its host, travelling through time and space and killing all life that it found in its travels. 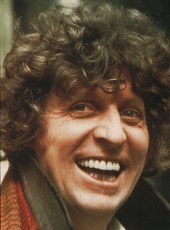 However, having predicted what the Repulsion would do, Romana was able to disconnect The Doctor from the Necroport and connect it up to the new-freed K9 instead, resulting in the Repulsion taking control of K9 and giving Romana the opportunity to transfer the Repulsion from K9 into ERIC. After The Doctor had been revived, he was then able to program ERIC to overload, fulfilling the computer’s death wish and destroying the Repulsion once and for all, leaving its realm to be inhabited by Tarie and those other spirits who had chosen to remain there rather than return to their bodies during their Beautiful Death. Although Paddox was able to connect himself to the Necroport with Garella as his spirit guide to send himself back to his birth and undo his past while The Doctor and Romana were busy resolving the last loose ends, The Doctor knew that it would be for nothing; as a human being, Paddox existed in time - unlike Time Lords and Arboreteans, who naturally exist slightly outside of time and are thus able to influence pre-established events (Presumably time in the TARDIS allows The Doctor’s companions to acquire a partial existence outside of time themselves, given such examples as the Ninth Doctor’s companion Rose Tyler saving her father ("Father's Day")) -, and thus he was unable to change his past, permanently doomed to live his life in a loop, witnessing his pointless genocide without ever being able to change so much as a single footstep of his past self ’s actions.